A MAN with a big heart for wealth has lost his manhood and three toes to a hyena that attacked him as he carried out a witchdoctor’s instructions in a bush in Chipata. Chamangeni Zulu of Njenjewa Village in Chief Mulonyeni’s area in Malawi is admitted to Chipata General Hospital after a hyena bit off his manhood and three toes on his left foot in bizarre circumstances. 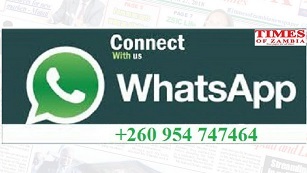 The incident happened on March 24, 2014 in Makungwa Lufu area in Chipata District in Eastern Province. Mr Zulu narrated from his hospital bed yesterday that he was told to sacrifice parts of his body in order to become rich. “I came from Malawi and when I arrived in Chipata I met some business persons who told me that the best way to become rich was to sacrifice parts of my body. 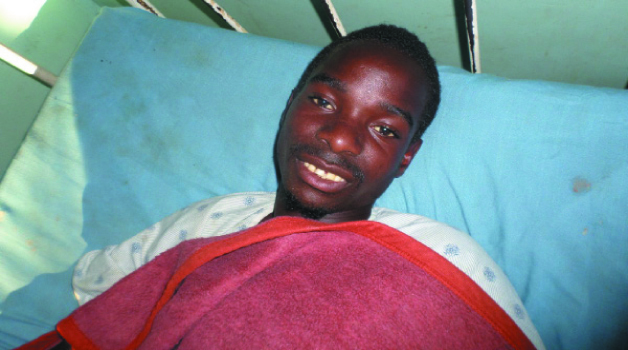 “On 24th March, 2014 around 04:00 hours, I went to a bush where I was instructed to be naked and a hyena came to me and started eating my toes and eventually my manhood was eaten,” he said in his Chewa dialect. He said the witchdoctor had not indicated the body parts that would be ‘lost’ and how, although he was told he would encounter a hyena. Mr Zulu said after the incident, he crawled to a nearby road where some Police officers picked him and took him to the hospital. “Even if I have lost some important parts of my body, I still want to get rich,” he said. He said he had stayed in Zambia for four months as he was doing ‘piecework’ to earn a living. Chipata General Hospital acting medical superintendent Humphrey Chanda described Mr Zulu’s condition as stable. Dr Chanda said the patient was brought to the hospital on Monday by some uniformed Police officers. “Yes, it is true that he lost his manhood and three toes after being bitten by a hyena, but his condition is stable,” he said. Eastern Police Division criminal investigations officer Patrick Bili said Police had received a report on Mr Zulu’s matter.